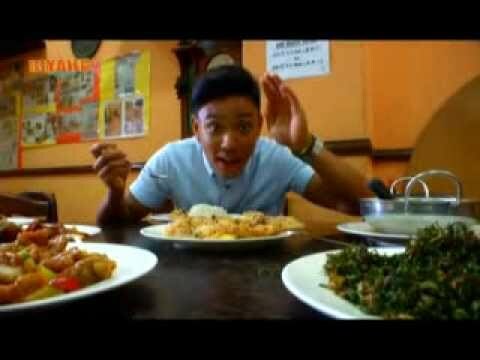 In 2013, GMA News TV's hit budget travel show "Biyahe ni Drew" visited Kuala Lumpur in Malaysia during the month of Ramadan. Malaysia is multi-ethnic and multi-religious, a unique combination of Indian, Malay, and Chinese cultures. In this episode, host Drew Arellano tried the famous Indo-Malay dishes of Nasi Kandar Pelita restaurant, the buffet at Songket Restaurant, the stingray at Resto Sun Chui Yen in KL's Chinatown, and the Roti Johns Black Pepper at Bazaar Ramadhan Kampung Baru. Drew also went running at Kuala Lumpur City Center and visited the oldest mosque in Kuala Lumpur, and tried the shopping at the bazaars in Little India. Drew also joined 5,000 other tourists climb up the steps to the Batu Caves. For travel information on Philippine and Southeast Asian destinations, watch "Biyahe ni Drew" every Friday at 8:00 p.m. on GMA News TV!